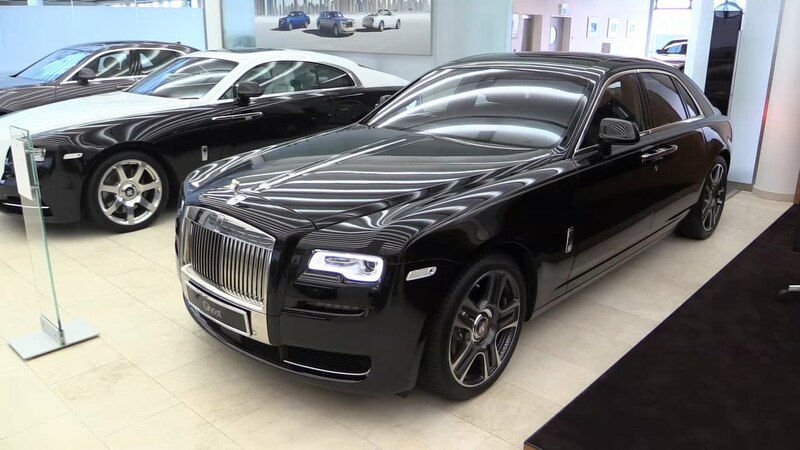 Rolls-Royce Motor Cars Ltd is an English company, a division of BMW AG, specializing in the production of luxury cars under the Rolls-Royce brand. 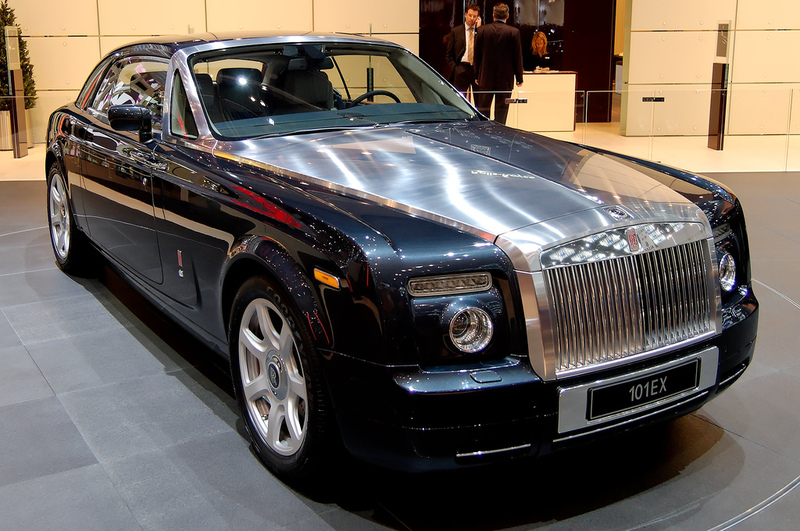 In 1998, the owners of Vickers decided to get rid of the assets of Rolls-Royce Motors. The most attractive buyer was the German automaker BMW, which already supplied engines and components for Rolls-Royce and Bentley cars, but BMW's final offer of £ 340 million was interrupted by another German auto giant, Volkswagen, which offered £ 430 million. VW received from Vickers the rights to the "Spirit of Ecstasy" statuette and the Rolls-Royce branded radiator grille, to the Bentley brand (including the logo), models (including documentation for them), production and production facilities, headquarters. But VW was left without the Rolls-Royce trademark and logo, because the engineering company Rolls-Royce plc, which owned the rights to use them, decided to retain them for the sale of the car division. 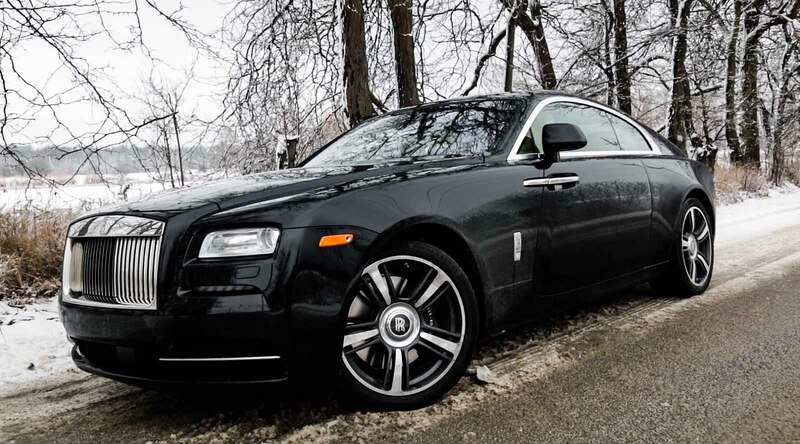 Rolls-Royce plc has relinquished its right to the brand and logo of Rolls-Royce, BMW for $ 40 million, because both companies had joint projects. The point in the contract BMW, for the supply of engines and components for Rolls-Royce Motors, allowed to terminate the contract and to stop deliveries, notifying the second party for the year. VW was not able to quickly change the design of the produced models for the use of other engines. The shattered historical look of Rolls-Royce (name and logo, radiator grille and Spirit of Ecstasy), as well as the danger of production shutdown due to engine supplies, forced BMW and VW to sit at the negotiating table. Following the negotiations, VW agreed to sell the BMW rights to the radiator grille and "Spirit of Ecstasy", in return for the continued supply of engines and components of BMW for production until 2003. VW also continued to produce Rolls-Royce cars from 1998 to 2003, giving BMW time to build a headquarters, a new factory in Goodwood (northeast of Chichester, West Sussex) and the development of a completely new Phantom model. 2003 Phantom - presented in January 2003 at the Detroit North American International Automobile Exhibition was the first model of the company Rolls-Royce Motor Cars Limited. The BMW division did not have a technical or corporate connection with Rolls-Royce itself, with the exception of the trademark and logo. The car was equipped with a 6.75 l V12 engine, manufactured by BMW. Part of the electronics was also produced by the company and its contractors, however most of the details were original to the car. Unlike the Mini (which was 90% developed and manufactured in the UK), most of the parts were manufactured in Germany, although assembling and running tests of cars are carried out at a factory in Goodwood. 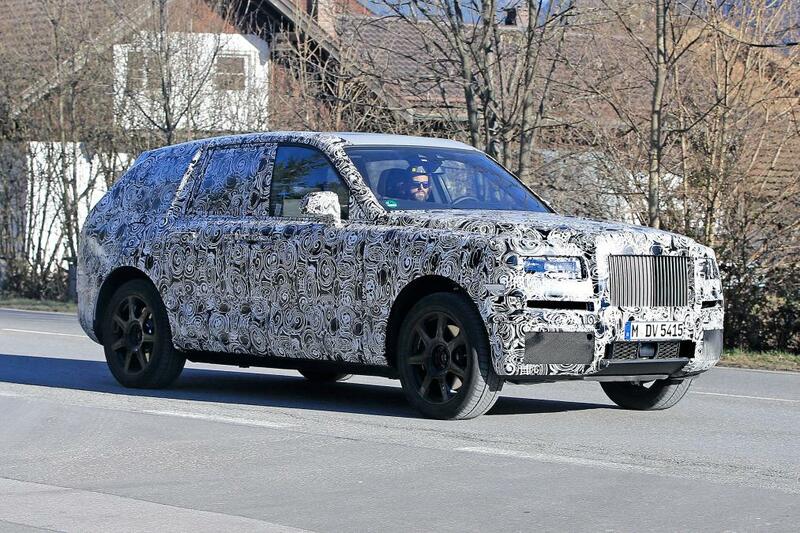 At the same time, the new car has proportions and lines typical for classic Rolls-Royce cars. The car is available in a standard and long version, the cost of the car starts from £ 250,000. In 2007, the company announced the release of a limited series of 25 Rolls-Royce Phantom sedans, painted in an unusual white Metallic Ghost Silver, with a statuette of "Spirit of Ecstasy" made of silver and special interior trim. The release of the series is timed to coincide with the 100th anniversary of the Rolls-Royce Silver Ghost model. 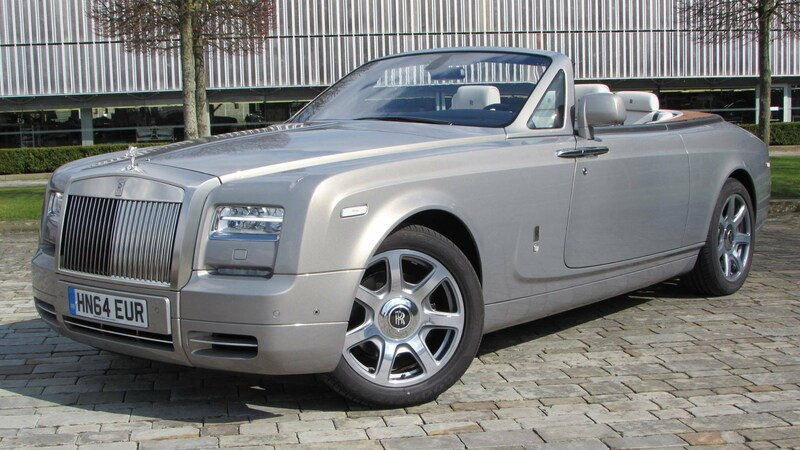 2007 Phantom Drophead Coupe - a convertible with a soft convertible roof was developed based on the Rolls-Royce 100EX prototype. Bentley Motors in 1931-1998 was a division of Rolls-Royce. 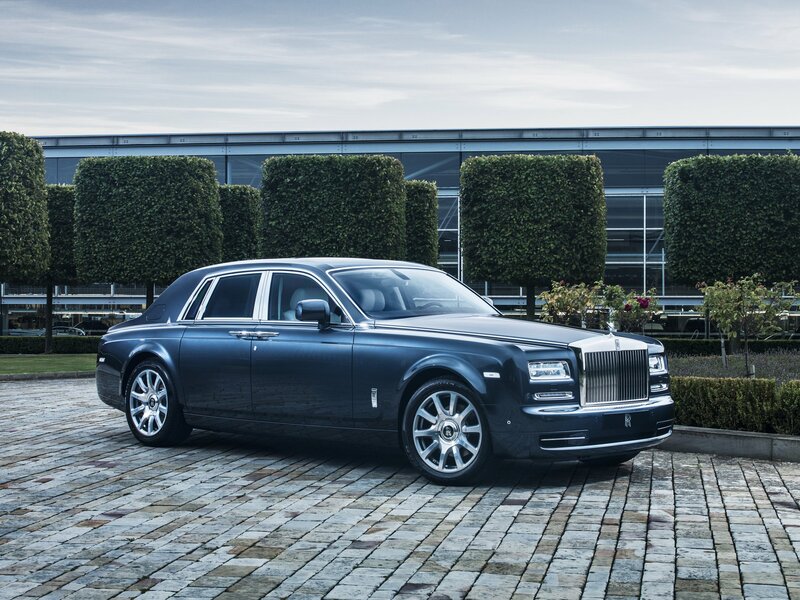 The factory in Goodwood (West Sussex) is the sixth place in the history of Rolls-Royce cars. Built by the BMW concern, since the previous plant in Crewe went to the Volkswagen. Construction of the company cost BMW in the amount of 60 to 85 million dollars. "Rolls-Royces" is still hand-assembled. At the factory in Goodwood, there are only two robots (for 2010), which apply paint to the body. All other work is done manually. Each car of the company passes on a test range of two thousand kilometers. After that, the machine is dismantled, each node is inspected, then it is painted in 12 layers of paint. After that, according to the specific specification of the customer, the machine is finally assembled. One of the advertising slogans "Rolls-Royce" - "The most expensive and most uneconomical car in the world!"